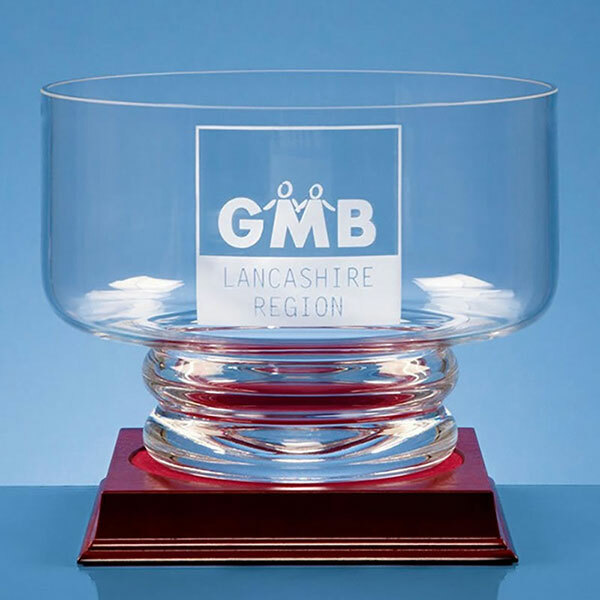 An elegant straight-sided crystal presentation bowl that is ideal engraved for commemorative gifts, presentation items or for corporate recognition awards. Crafted in clear crystal glass, these footed bowls have a diameter of 20cm (7.75in) and a height of 145mm (5.75in). Easy to order. Excellent, fast service.